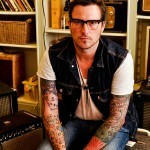 Butch Walker curates “The Ride Book” for Harley Davidson. 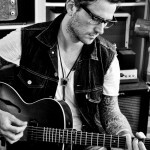 Butch Walker & The Black Widows on Letterman. The Spade is out now! Matthew McConaughey returns to his Dazed and Confused character in Butch Walker & The Black Widows new video for ‘Synthesizers’. Taken from the new album The Spade. Matthew McConaughey dresses up as Wooderson on Butch Walker music video set and talks about the character. 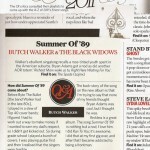 Butch Walker & The Black Widows “Summer Of ‘89” featured as one of Classic Rock Magazine’s songs of 2011. 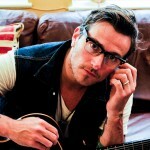 Butch Walker photographed by Amy Walters (London, 2011). 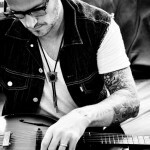 Ira Haberman of Explore Music sits down with Butch Walker and talks about his new album The Spade.